This is a book for which I created the entire print layout within the book and on the cover (except for designing the cover image). Working directly with the authors and printer, 1,000 copies of the book were printed in the initial run. 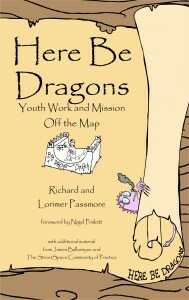 The book is an exploration of missional youth work and discusses the concept of Symbiotic Youth Work. It follows up Richard Passmore’s book “Meet Them Where They’re At”, which I have previously converted to Kindle.